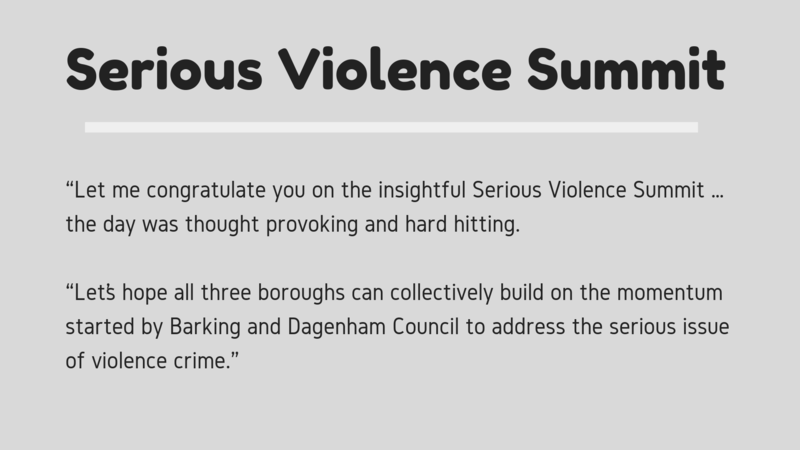 Barking and Dagenham Council hosted London’s first East BCU tri-borough Serious Violence Summit in partnership with Havering and Redbridge Councils on Wednesday 16 January 2019. 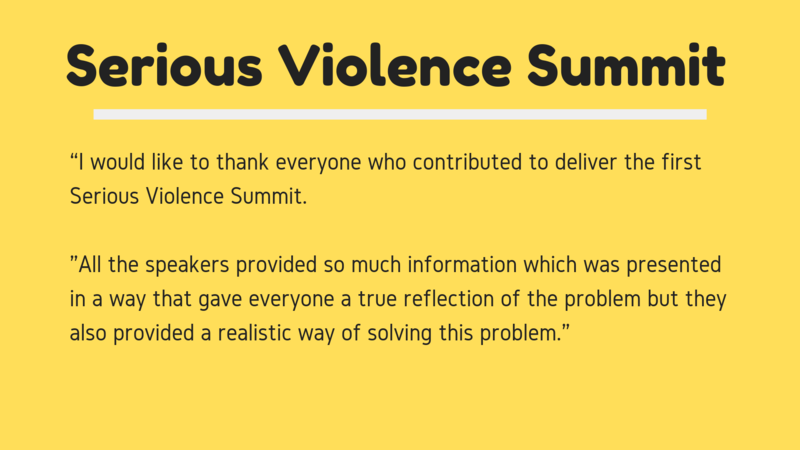 The event brought together key partners and local communities to discuss the challenges of serious violence and how we can work in partnership to tackle the complex root causes of violent crime. 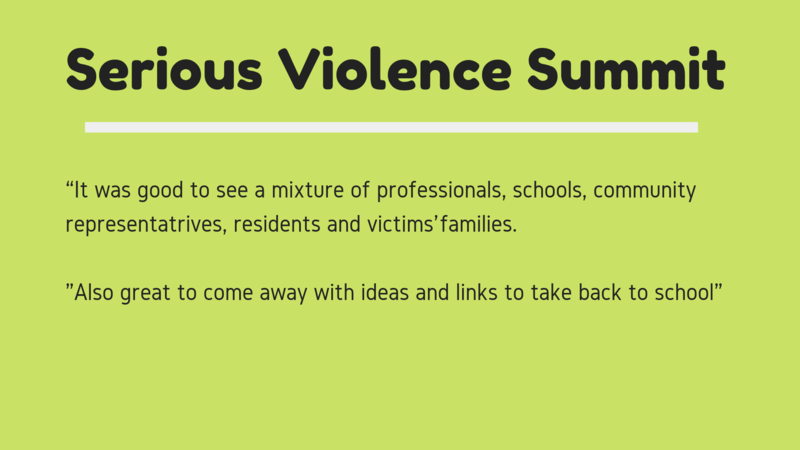 Almost 240 people attended the Serious Violence Summit which took place in London East, Dagenham. 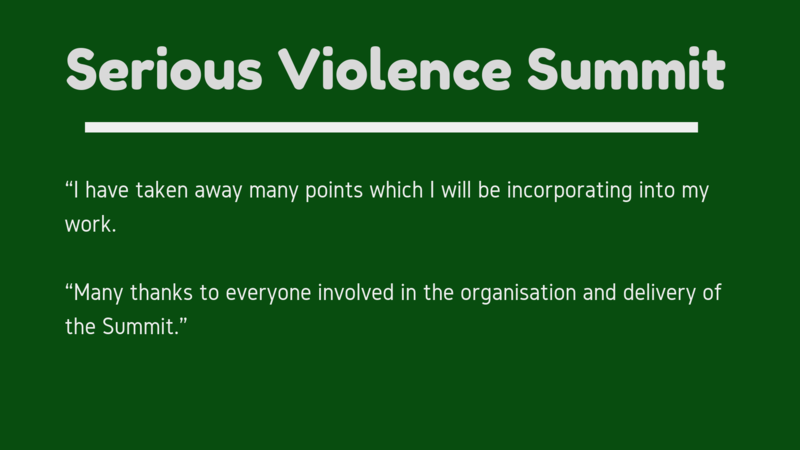 The Summit also announced the establishment of a Commission which will tackle cultural aspects that may have helped to normalise domestic violence in some parts of Barking and Dagenham. 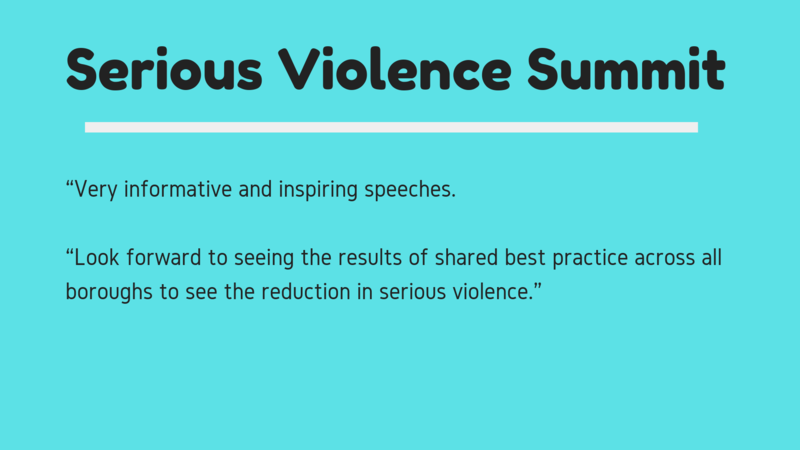 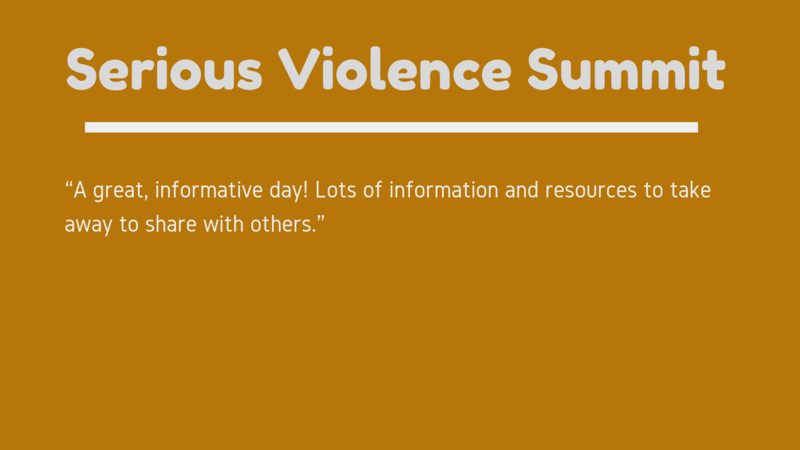 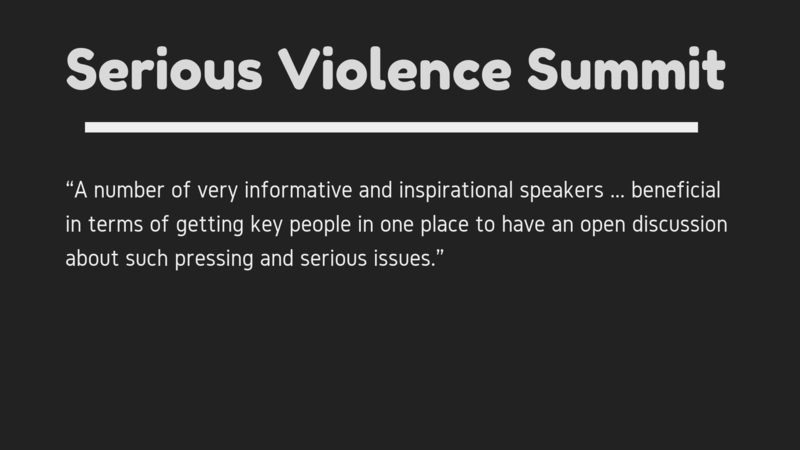 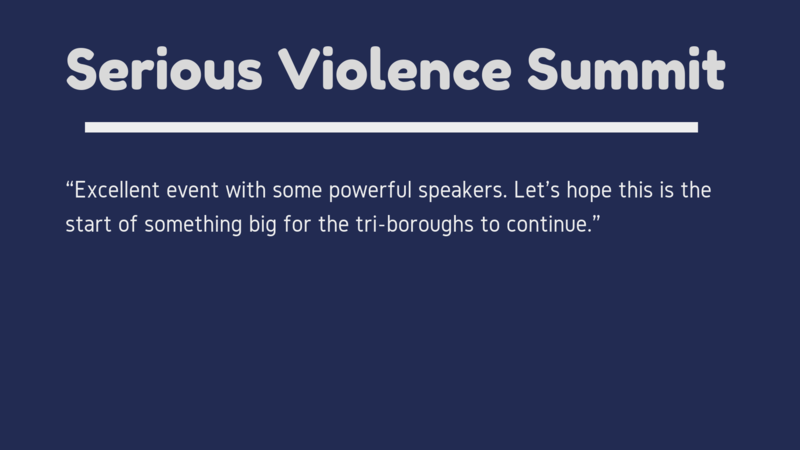 Following the first tri-borough Serious Violence Summit at Barking and Dagenham, plans are being developed to host further Summits across the tri-borough.